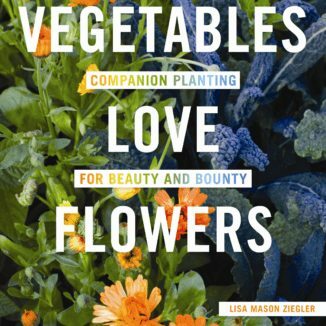 Lisa Mason Ziegler the author is joined by Bob Schamerhorn, the award winning nature photographer of Vegetables Love Flowers. Lisa shares the message of the book — grow a cutting garden and nature’s most powerful forces will come and set-up housekeeping in the garden. Bob tells how he captured it all and brought it to life on the pages of the book. Hear how to have an organic garden where good bugs eat bad bugs, pollinators are abundant and the beautiful bouquet on the table came from your garden. Bob will share tips on getting the best photos and how planning, patience, and persistence pays off. These two worked together to bring Lisa’s organic flower and vegetable farm to the pages of Vegetables Love Flowers. From the tireless 6am photo shoots and chasing bugs and birds into the heat of the day– to photos of the most beautiful blossoms. Vegetables Love Flowers promises to change the way you see and tend your garden! Contact us to schedule a program and book signing today!